Measuring Cups & Jugs There are 3 products. 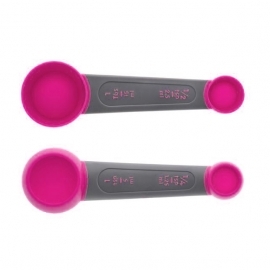 4 in 1 double sided measuring spoon, ultimate space saving measuring spoon. The unique double sided bowls let you make 4 different measurements from just 1 spoon. 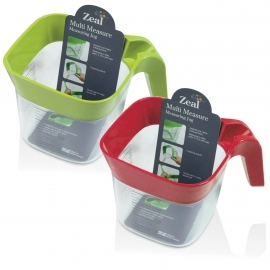 Zeal 1 litre multi measure jug. Available in either green or red. Set of stacking cup and spoon measures that click together and can be stored as one. 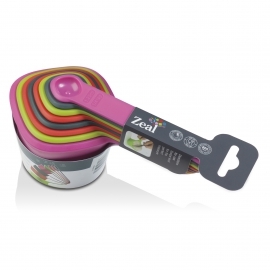 Comes in assorted colours (charcoal, pink, red and green), each set contains 2 spoons of each colour.